As soon as the Diwali’s hustle & bustle settles down, the people especially from Bihar get ready to rejoice the much awaited Chhath Pooja. Chhath is an important festival in Hindu religion. Celebrated mostly in Bihar and Nepal’s Mithila, Chhath Puja is dedicated to the worship of the Sun god and his wife Usha. Devotees perform the puja to thank the Sun god for supporting life on earth and also to seek his blessings. On the final day of Chhath Puja, devotees, along with their family and friends, go to the riverbank before sunrise, in order to make the offerings (Arghya) to the rising sun. On this day, the offerings are the same as on the third day with the difference being that it is performed for the rising sun. Hence the ritual is called as Bhorwa (meaning early morning) Arghya. The festival ends with the breaking of the fast by the Vratins. The fast comes to end after offering Arghya to rising sun. In this way, nearly 36 hours of strict penance comes to an end. 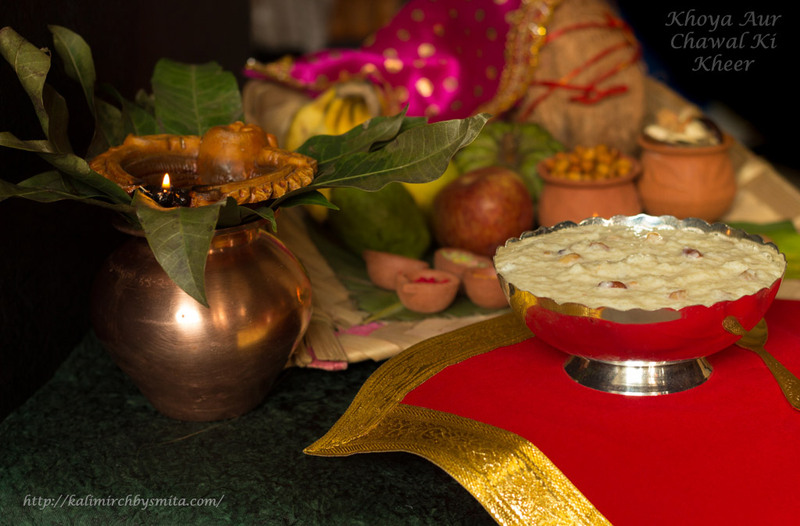 The Prasad offering includes sweets, Kheer and Thekua. The food is strictly vegetarian and is cooked without salt, onions or garlic. Emphasis is put on maintaining the purity of the food. Seeking the blessings from God Sun, let’s take a vow to save our environment and energy from Sun for better future, we are glad to share with you this delectable version of Rice kheer for all Vratins on the Kharna Day! Heat 2 tbsp. Ghee in a pan and fry raisins in it. As raisins begins to puff, remove it from the pan and now add Cashewnuts and Almonds. We must lightly brown the nuts on a low heat. When the color changes lightly, we will take it off the heat. Reduce heat as Milk begins to boil. Now, add coarsely grounded rice and give a stir. Cook rice on low- medium heat. Keep stirring intermittently, to prevent formation of lumps. 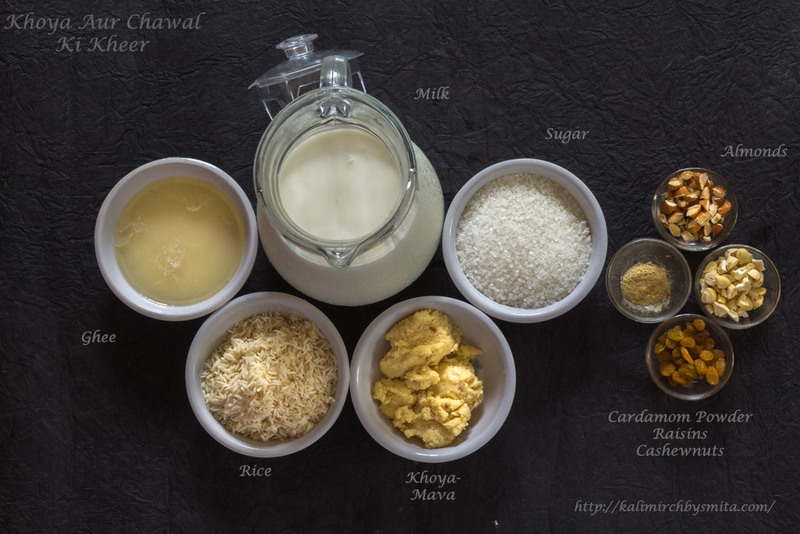 Add Khoya-Khoa(Mava) and mix until Khoa gets incorporated in the milk. For recipe of Homemade Khoa, visit our "Dessert" playlist. Mix continuously. 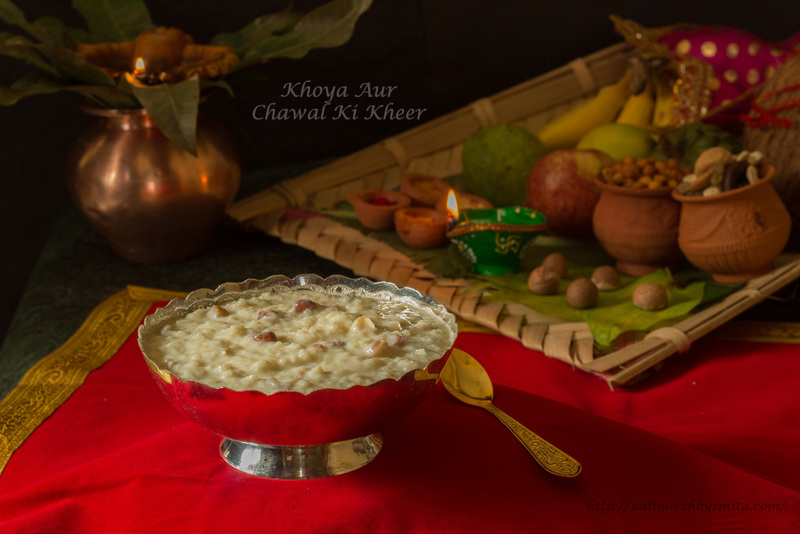 When Kheer gets thickened and there are no lumps of Khoya in it, add Sugar. We have used 150 gms Sugar. 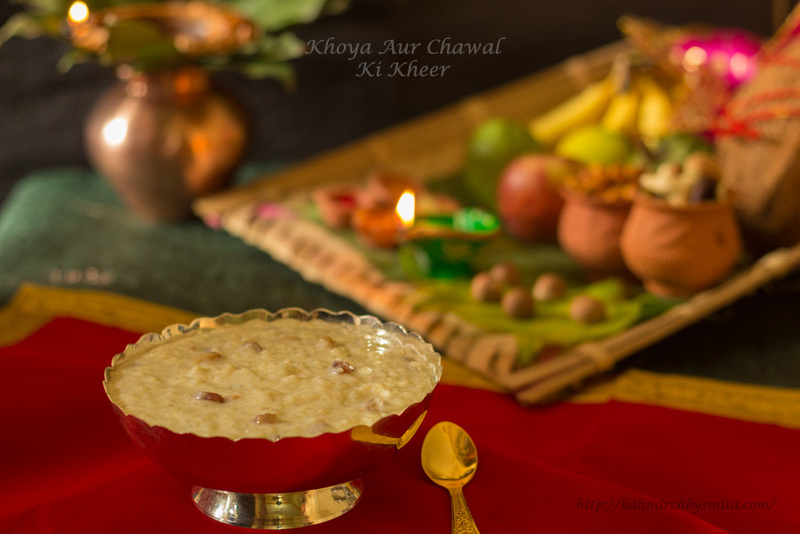 If you prefer more sweetness in the kheer, you may increase the Sugar quantity till 180-200 grams. Mix until sugar melts completely.